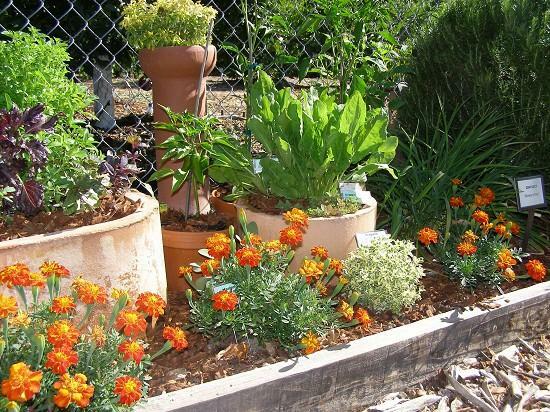 This demonstration concept consists of annual and perennial plantings in terra cotta flue liners and terra cotta bell joint sewer pipes to add color and interest in the herb garden. 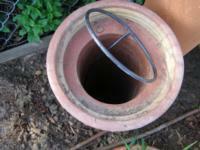 Place terra cotta pipe in soil beneath soil line. 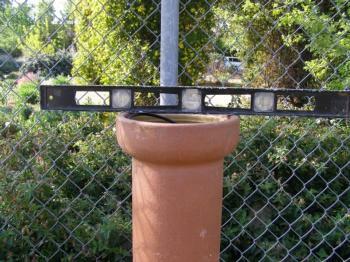 The taller the pipe, the deeper it should be placed in the soil. Make sure planting site soil is settled, soak if necessary. Existing irrigation line should be accessible. Place 1/4 inch tubing through terra cotta pipe. Attach 1/4 inch tubing to existing irrigation line. Attach 1/4 "T" to tubing. Attach 1/4 inch soaker line to "T" which forms a circle. 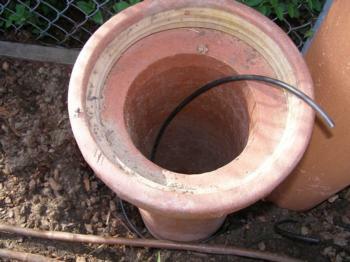 Level terra cotta pipe and fill with soil. 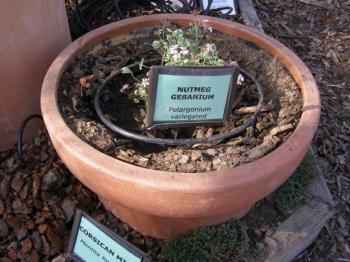 Soak soil and allow for settling of soil in pipe before planting. Place planting in pipe. Add mulch. Water, check irrigation and adjust if necessary.